American manufacturer of fruit packaging machinery - A&B Packing Equipment inc. announced the launch of a new version of Cherry Evolution weighing machine in Europe. 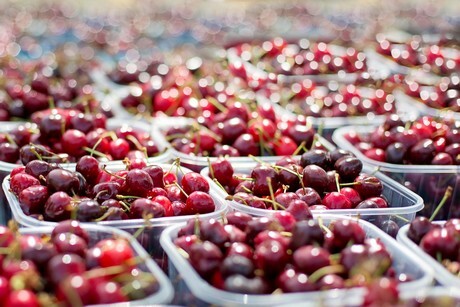 The second generation of cherry packing equipment allows one to weigh and fill over 120 punnets for minute. This flexible and versatile machine is able to pack fruits into various types of packaging: clamshells, punnets, to-go cups, boxes, multi-compartmented containers or thanks to the integration with a bagging module in bags. G2 Cherry Evolution is one of the most efficient, accurate as well as gently and more reliable packing system for fruits. 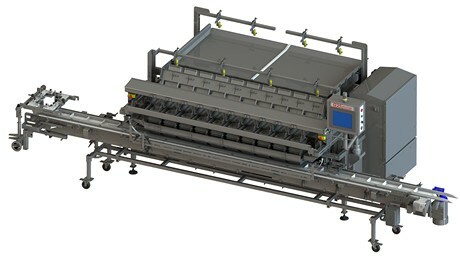 G2 cherry machine can be integrated with most of the leading cherry sorting lines or can be used as a separate solution. Milbor PMC is the exclusive representative of A&B Packing in Europe, supplier of sorting and packing machines for the soft fruit segment, automatic traysealers, as well as professional casepacking and palletizing solutions. Located in Poland company has been supporting European growers in improving their packing processes. The G2 Evolution and other A&B equipment will be presented at Fruit Logistica in hall 9, stand E-04.